Summary: The Apollo e-cig is perfect for people wanting to have a unique smoking experience. It is available in unique flavors. You can enjoy lot its thick vapour at all places. 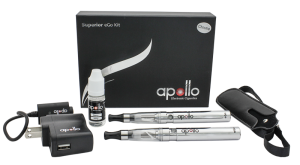 Apollo e-cig is perfect for cig enthusiast, occasional cig smoker, or anyone looking to try new kind of e-smoking device. 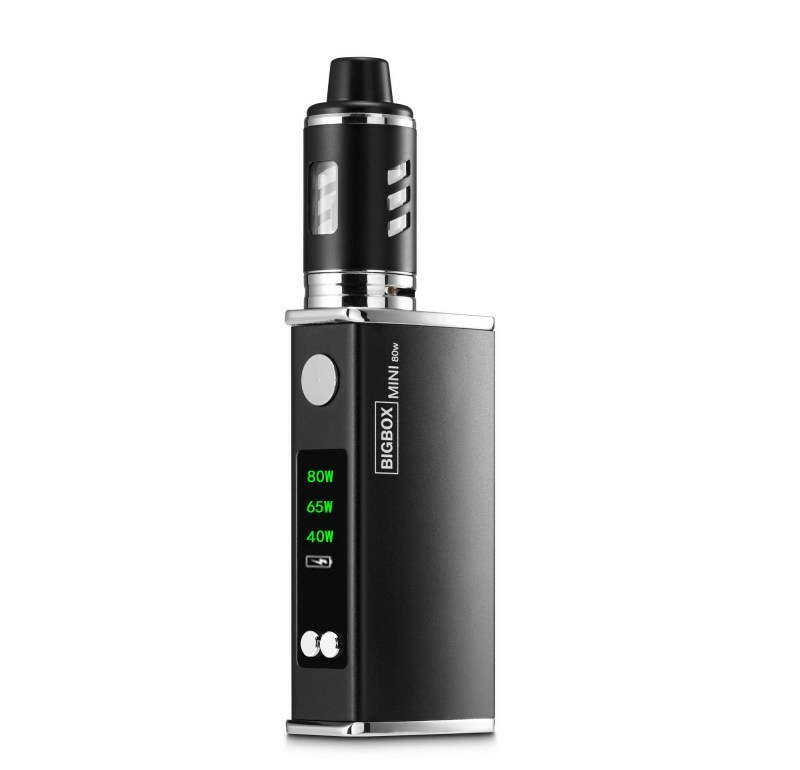 This has a large unit for accommodating a large battery than many e-cigarettes. It also gives a cig kind of like feel while using it. This is a good choice for people looking at branching out. It is made by their R&D department. They promise good quality which no other firm may dream about in the market. 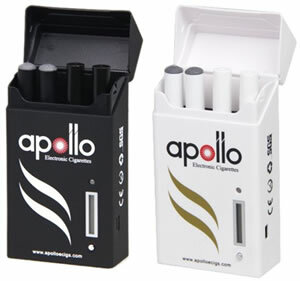 The Apollo disposable e-cig features a 1300mah battery. It has up to 1500 puffs. It has the flavor of Cuban cigar and has strength of 18mg. The size of eCigs is 18.5×153 mm or 0.75×6”. The weight of single cigarette happens 9g. You can smoke up to nearly 1500 puffs. The battery capacity happens to be 1200mAh. The normal working volt is 3.3 to 4.2V. 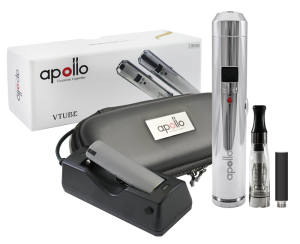 This is called the Apollo eGo variable voltage batteries having the latest technology. It is similar but slightly different than the eGo Twist. It is the best introductory good quality variable voltage item in the market. Its features include 3.0v-6.0v variable voltage in .1 increment, blue LCD display for voltages and battery charge levels, click on or off safety feature, voltage lock down (hold down + and – buttons to set and release) and a tactile soft button. It also has 650 mAh Li-Polymer batteries. This provides nearly 500 puffs for each charge. It happens to be eGo form factor. It is completely compatible with many other eGo cartomizers and accessories. It has a Micro USB charging port or Passthrough, a 40 inch USB cable, a 3 amp current limit, 4.25 inches or 115mm; 14mm wide (same as a regular eGo). In comparison with eGo twist the Apollo eGo-vv has 3.0v – 6.0v range. The eGo Twist only has a maximum voltage of 4.8v. The Apollo eGo-vv comprises of LCD display for indicating Voltage setting of 0.1v increments, with battery charge levels indication graphic. This is a much more precise voltage indicator compared to the eGo Twist. In addition, in case of the twist you do not have any idea what the charge levels is on the batteries. 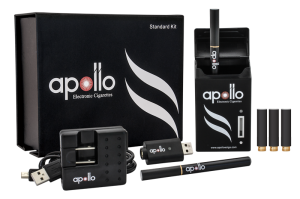 Apollo eGo-vv consists of built-in passing-through charging port. In case of the eGo Twist, you cannot use this battery when it is charging. You may lock the voltage along with Apollo eGo-vv to avoid accidental adjustment of the voltage. In case of the eGo Twist there is no way to prevent accidental adjustments of the voltage. It has 1 EGO VV 510-thread battery 650mAh, 1 USB charger. The Apollo VTube happens to be a finely crafted machine which produces an amazing amount of vapor. It allows you the freedom to control your vaping experience. This kind of model happens to be a varying voltage device. It ranges from 6 to 3 volts. This is mainly designed for allowing you to alter your specific preference. It is advised only for experienced smokers. The VTube provides a variation of 3 to 6 volts at the click of a button. It is an ideal device for people who prefer fine-tuning the voltage by pushing the cartomizer and atomizer limits. 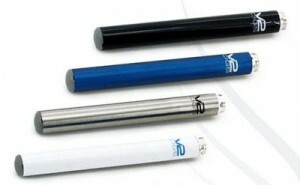 Using the VTube, it is easy to see which is the flavor of vapor that is best suitable to your senses and taste. The Apollo v2.0 VTube displays a varying voltage having a wide array of 6-3 volts (many brands provide a range of up to 3.6 – 4.2 volts), chrome and sleek body. It is available in 2 sizes: Regular (5 inches) or Mini (3.75 inches), famous 510 thread connections, LCD display screens the current volt setting. The lock button avoids accidental activation. It also has an easy to utilize feature with properly marked voltage down and up buttons. It is manual battery operated to manage the duration of your cig drag. It has an option for measuring resistance of an atomizer or cartomizer or clearomizer. It has removable, vented end cap having springs for batteries tension. It uses 18650 or one 18350 flat tops high draining battery based on size either mini or regular. The Apollo v2.0 VTube Kit includes these following items namely 1 VTube of Chrome of your choice that is regular or 5 inches in size or mini or 3.75 inches in size, 1 Panasonic rechargeable battery of high capacity, 18650 for the regular VTube and 18350 for mini VTubes, a battery charger. The kit also has an Apollo black leather carrying case, a 510 blank cartomizer and a CE4 clearomizer. It is not advised to use the lower resistance cartomizers or atomizers with the VTube. A good battery option for VTube happens to be VTube batteries provided by Apollo. If you choose to purchase a battery elsewhere, please make sure they are the correct model that has a flat top instead of a bump on the top. Using a non-flat-top battery can damage the internals of the VTube. If you wish to utilize Apollo Bottom T3 Coil clearomizer with the VTube, it is better to utilize an adaptor like 510-eGo since the T3 does not fit into the VTube if you are not having this. It is compatible along with the Apollo E-Liquids, 510 Cartomizers or Single-coil refill, 510 Cartomizers or Dual-coil refill, Clearomizer, Dual-coiled tank cartomizers, Disposable Electronic cigarette. These Apollo E Cigarettes are the disposable models. You may puff nearly 500 times. This is equivalent to several packs of traditional cigarettes. It is charged fully and you are ready to have your smoke. Once you have finished using it, do not attempt to break it apart. Do not try refilling it as it can be injurious. The colors to opt are Black and White. 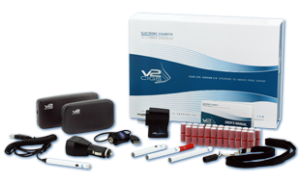 The strengths of nicotine level available are the high, medium, zero and low. The flavors that are available are Menthol, Tobacco, Coffee, Vanilla and Cherry. It is truly an awesome product for people who like trying and tasting it. 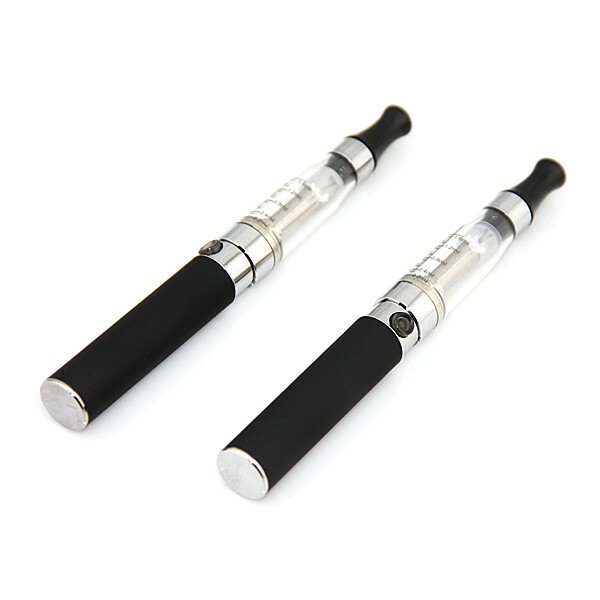 It is also ideal to give to friends who wish to switch over to e-cigarettes. Large number of people simply love it. It has also got one larger unit for accommodating larger batteries and for giving it a cigar-like feeling while using it compared to other e-cigarettes. It happens to be a very good option for anybody wanting to newly try it. They also promise very nice quality which no other firm can even dream of within the market. The standard Apollo Disposable E-Cig features a 1300mah battery, up to nearly 1500 puffs, great flavor of Cuban cigars and has got 18mg strength. A recent independent investigation made the comparison between the amount of harmful substances present in traditional cigarettes and those emitted using the electronic device IQOS by Philip Morris, innovation that heats the tobacco instead of burning it, and they were able to find quite surprising data and results. The study presented by the researcher Konstantinos Farsalinos, cardiologist of the Onassis Center for Cardiac Surgery (Greece), confirms the reduction of the levels of carbon molecules dangerous to the health of smokers. The research “shows that the products of heated tobacco emit substantially less toxins compared with a conventional cigarette”, said in an interview the researcher, expert in cardiac smoking and co-author of the report made with his Colleagues from the Arizona College of Health Solutions and the applied research laboratories Skylab-Med. The laboratory tests were done simulating the consumption of 20 cartridges of “Heets” Tobacco for IQOS and 20 cigarettes Marlboro Red, recognized brands of the tobacco Philip Morris International, resulting in the levels of exposure to substances Cancers showed a reduction of between 81.7 and 97.9%. The health-damaging carbon molecules present in cigarette smoke would also be present in IQOS, but with reduced levels. The study shows that IQOS has 91.6% less formaldehyde, 84.9% less acetaldehyde, 90.6% less acrolein, 89.0% less propionaldehido and a 95.3% less crotonaldehido. According to the investigator, the study focused on dangerous substances called carbonyls because they “contribute to a high risk of cancer and are toxic to the respiratory and cardiovascular system. They are not the only toxic, but they are an important group of toxins, “the doctor said. The findings of the research “are consistent with the manufacturer’s reports, therefore, our study showed that the industry findings previously published are reliable,” Farsalinos pointed out. The results of the independent study are known only a week after the presentation of a clinical investigation on the impact of IQOS on health, and that the tobacco producer Philip Morris presented at the Global Forum of Nicotine 2018, held in Warsaw, Poland, last June. These trials were conducted for the first time by the industry to measure the biological response of people who changed to IQOS compared to regular smokers. The study, which lasted six months, tested 984 people divided into two groups in a random manner. The first group (488) continued to smoke cigarettes; While a second group (496) were changed to IQOS, showing a better physical response in five of eight high-risk clinical points associated with heart, lung and respiratory diseases produced by smoking. The tobacco Philip Morris International has conducted its own studies on IQOS in which the rate of exposure to harmful substances is 90 to 95% lower than that of traditional cigarettes. To date, PMI has 2,900 patents granted worldwide, and 4,600 pending patent applications. IQOS is marketed in more than 30 countries in the world and entered the Colombian market in 2017. Why Female Smokers Prefer Electronic Cigarettes? Summary: Smoking is not restricted to only men. There are many women who love smoking but stand same health risks as other smokers. Electronic cigarettes help smokers to quit smoking addiction. Let us see why electronic cigarettes are a better option for women who are trying to say no to smoking. The number of women who smoke cigarettes is increasing every day. 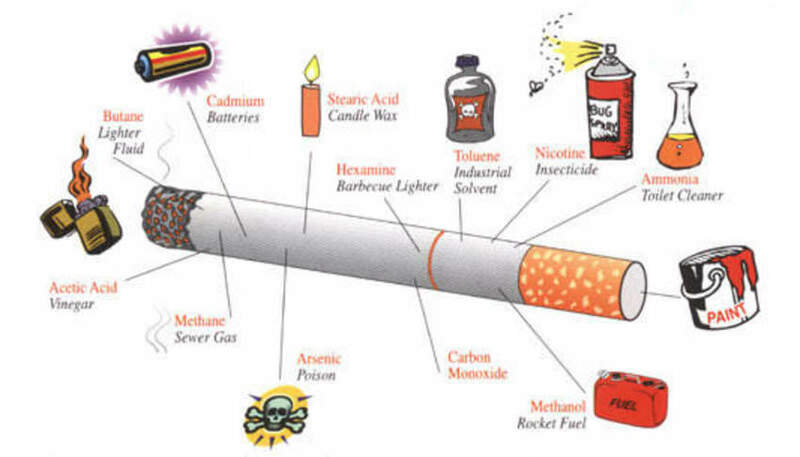 However, the health hazards posed by conventional cigarettes to the smokers and the bystanders are not unknown. In case of women, cigarettes can be more harmful since she is the primary caretaker of the family at home. The working women have to undertake dual responsibility: work and family. Moreover, it is a woman who bears the child. The smoking habit of a woman can have direct implication on her own health and family, especially children. Hence electronic cigarettes are a safer alternative for females who want to quit smoking. Many brands of electronic cigarettes are targeting female smokers these days. There are few who have even launched e-cigarettes with feminine designs, colours and names. 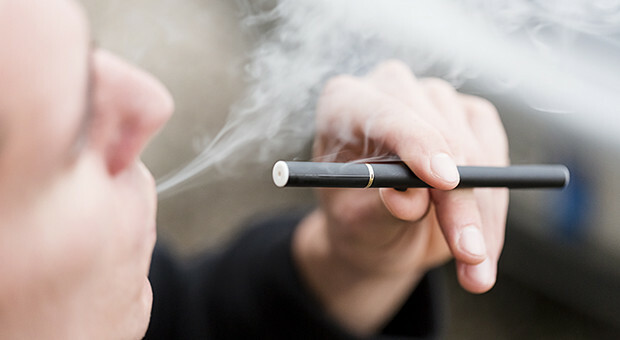 An e-cig is battery operated form of tobacco and does not create any smoke or flame. It is a great option for women who are trying to quit cigarettes but still want to feel the nicotine in the air. 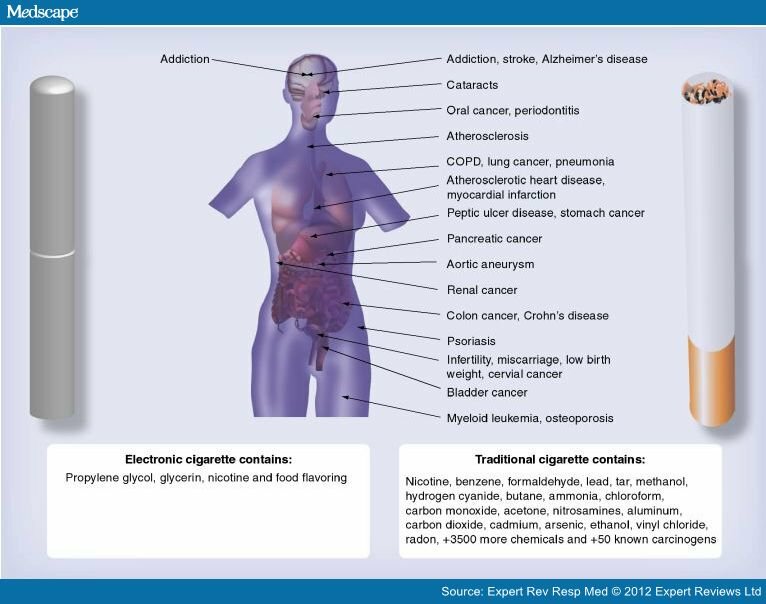 Electronic cigarettes create the smoking sensation for the user without letting the person inhale the nicotine. Hence, electronic cigs can help the female smokers to satisfy their smoking pangs without impacting their family, work or health. Active and passive smoking pose the highest risk to a pregnant woman and her unborn baby. The expecting woman are always advised by doctors to quit smoking to avoid health risks to her own body and the child inside her womb. Smoking can result in premature birth of the baby, still births and even affect the growth of unborn child. If you not pregnant but trying to conceive, it is equally good for you to give up smoking. Since the electronic cigarettes do not create any smoke, it is comparatively a better alternative than the traditional cigarettes for the ladies. Many marital discords happen due to smoking habit of one or both partners. Smoking not only causes bad breath but also reduces the sexual appetite of a woman. She may feel weak and not able to give sexual satisfaction to her spouse. The electronic cigs can help a woman to enjoy her smoking without affecting her sexual desires and marital bliss. A female smoker can also keep her children safe from passive smoking hazards, especially at home. She can concentrate on her work also as she need not worry about creating an unpleasant environment since electronic cigarettes are smoke free. Smoking related fire accidents are on a sharp rise, especially at homes and offices. 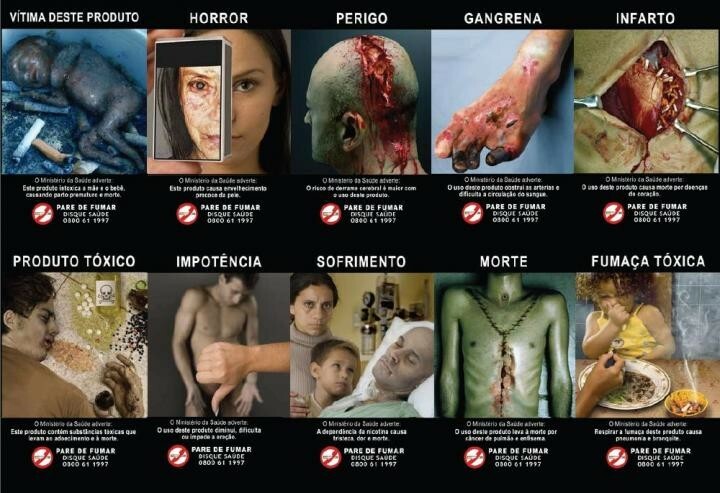 A woman smoker can help to prevent these accidents by using inflammable e-cigs. Since the health dangers caused by electronic cigs are very less compared to the traditional cigarettes, you do not have to seek higher medical insurance coverage for you or your family. Moreover, vapour cigs are cheaper and absolutely safer than the combustible cigarettes. Electronic cigarettes can keep a female smoker health and happy, both physically and mentally. And she is in a better position to look after her personal health, career or family.